This year International Luxury Watch Brand have great prospect to sell watches in China. 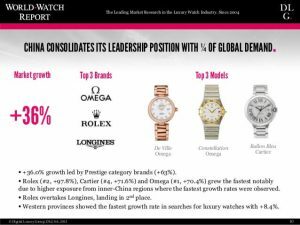 According to the results of the latest WorldWatchReport™ by Digital Luxury Group (DLG), the web traffic from China visiting luxury watch websites, is gradually exceeding as compare to web traffic generated from the leading U.S. market. The rise in web traffic from China indicates a potentially huge group of digitally savvy consumers with a keen interest in luxury watches. Work/business watches: Chinese consumers prefer wearing expensive watches to work depicting their status symbol. They wear luxury watches to attend important functions, but may also wear them during leisure hours. 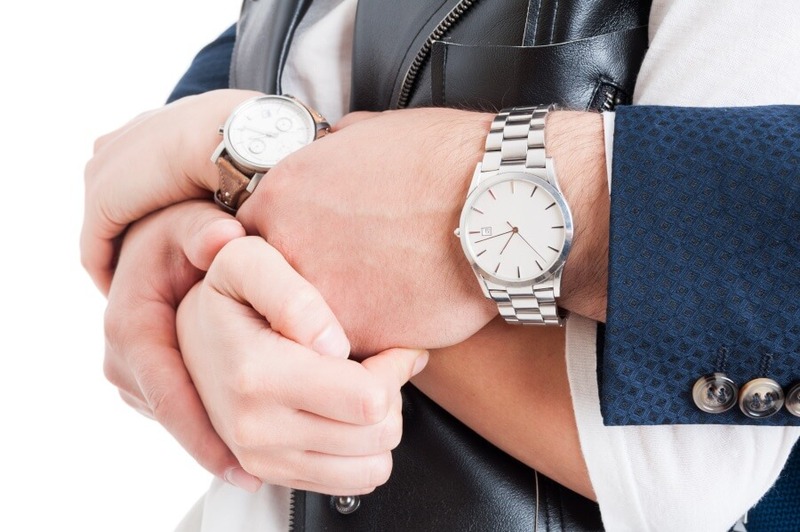 Usually high-income male consumers prefer business and work watches. Casual fashionable watches: Chinese young female prefer casual, fashionable watches. These are trendy watches and usually have very chic and slick design. These watches mainly serve ornamental purposes like necklaces and bracelets. Chinese girls prefer wearing these watches during leisure hours. Sometimes they are also worn to match business outfits. Sports watches: Chinese consumers have been interested in sports events more than ever before. This group mainly consists of young Chinese, students and sports enthusiasts as main consumers. Other types of popular watches include antique watches, multi-function watches and cartoon watches. There have been several recent examples of prestigious watch brands entering Social E-commerce platforms of China to provide Chinese customers with easier and seamless digital experiences. Brands such as Bulgari and Jaeger LeCoultre have appeared on China’s social media platforms and introduced Chinese online influencers (KOL) to attract and reach Chinese users by leveraging their marketing campaigns to attract young customers. According to latest predictions, 2017 is a great year for watch industry providing innumerable opportunities in mainland China. On the other hand, Chinese customers are extremely tech savvy, this setting has provided International watch brands strong and favourable reasons to enhance their digital presence this year in China. International watch brands can meet the need of Chinese consumers by strengthening their digital elements and aligning their marketing campaign to the expectations of the consumers. To successfully achieve this International watch brands, need to penetrate Chinese market on local level by triggering their psychological and digital touchpoint. Before targeting Chinese consumers, it is advisable to understand the culture of China’s closed ecosystem. Several International brands experienced negative impact on the brand image when their marketing campaign went wrong. Therefore, first step after market analysis is Branding! “You need to ensure that your local campaign is consistent with the brand image but also relevant to local consumers,” said Louis Houdart, founder and global director of branding and design. 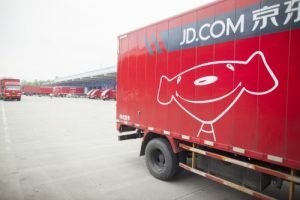 Therefore, it is helpful to partner with local digital agency as it is skilled to find a “sweet spot” between the International brand value and preference of Chinese consumers. TMALL has invitation-only policy where only qualified international brands can either be invited to join or can apply through a local marketing agency. For more information on how to sell International products through TMALL, please contact local digital marketing agency. There are several cross- border websites that cater international brands. Chinese consumers prefer buying imported food products from Haitaos. To learn about which Haitao is suitable for you brand please contact local marketing agency catering International brands. WeChat is engrained in lifestyles of Chinese consumers. It is all-in-one-app which integrates social e-commerce seamlessly. There are three types of service accounts available for promoting business on WeChat. 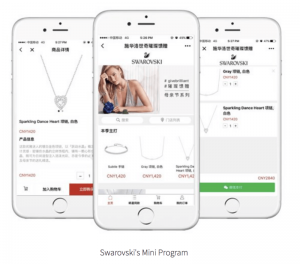 Swarovski is the first watch and jewellery brand to enter China’s E-commerce platform to leverage the technology of Wechat mini programs and complement both their social and retail activities. ROI = E-COMMERCE. This strategy has made our customers extremely satisfied and proved us as a reasonable choice for them. Would you like to sell watches in China’s E-commerce market, and learn about the ideal strategy? You can reach us for friendly discussion and learn about your brand’s prospects in Chinese E-commerce market. Our Digital Marketing agency provides, international brands with tools that are optimal to unlock this enormous market to earn their full potential and multiply sales with millions of users. If you are interested in exploring Chinese Digital E-Commerce platforms, reach out to us for a customised advice.